Tortoise is ready for his big day. He is going to play guitar on the big stage, in front of everyone. He is very excited about it until he discovers that his favourite wig is missing. Will he be able to perform without it? This picture book is the story of the journey made by Tortoise's hair, a twist on the classic Hare and Tortoise tale which children know so well. The wig makes its way from bear, to zebra, to monkey and several other animals before being spotted by Hare, who then tries to get it to his friend Tortoise in time for the performance. Is Hare fast enough to save the day? And does Tortoise really need saving in the end? Shea's illustrations are fabulous, vibrant and luminescent with glowing colours which seem to leap off the page. I love the detail and character he draws into animals - the hippo with her mudpack, Bird at sunrise in her hair roller and Tortoise's sparkly leg-warmers. I found the rhythm a little awkward and not easy to read aloud, but after a few reads this smooths out. Children will engage in the progression the wig makes from animal to animal and the ending, both in the text and illustrations, is great. 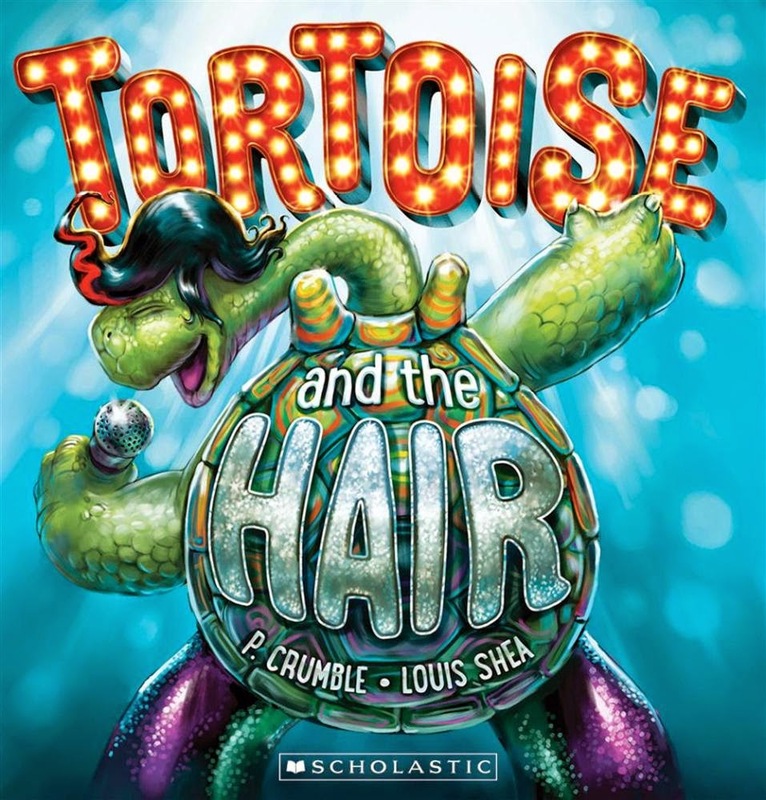 Tortoise and the Hair is a fun and playful book. Young children will enjoy the story and older ones will delight in discovering all the detail of the pictures.